In scientific, industrial and operating fields, data mining represents the computational process of discovering patterns and hidden information in large amounts of data, involving automatic or semi-automatic methods. These high level techniques are widely applied to the decommissioing process of the industrial plants. 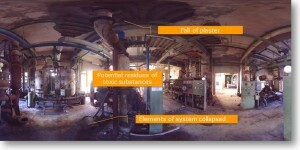 The decommissioning phase is described by an “integrated” process: an accurate relief on site is the first step (3D laser scanner survey, acquisition of specific site parameters, characterization of materials and components of the plant systems); the parametric modeling of structures, lines of piping and equipments is the following step. 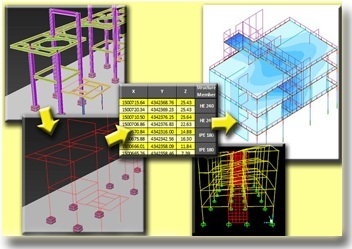 Finally, the exporting data is made available: 3D parametric model, Technical Data Sheet of components, 2D graphic arts and schemes of calcuation for structural inspections. The environments of industrial plants are often complex and dangerous realities. The first rule of safety is to limit the time of exposure to risk for the employees. The possibility of remote-sensing huge objects at high heights and unapproachable for safety reasons , as well for the presence of harmful materials and unstable structures , makes the approach via laser scanner well indicated. That’s why the operator assigned to the measurements is actually requested to use it as the safest. 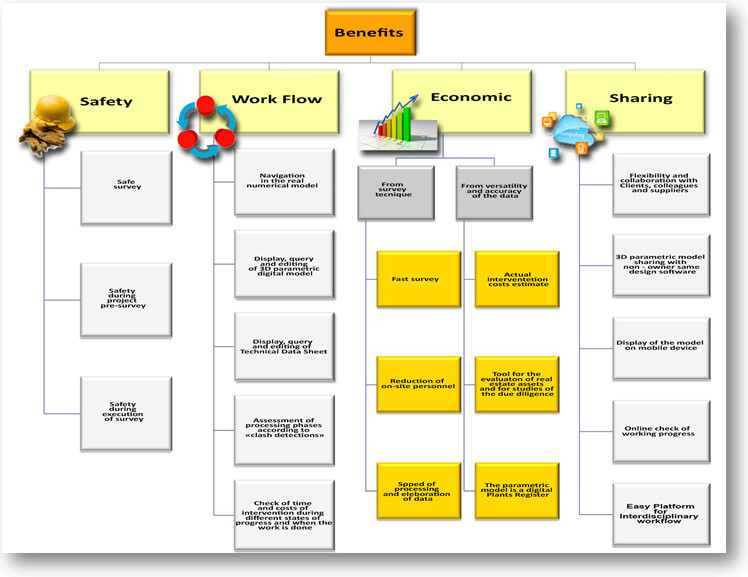 The identification and risk assessment are main activities both in phase of system design , and in the phase of adjustment and decommissioning The ability to determine most dangerous areas for operators depending on digital models, get the project of intervention easier . It’s also possible to identify and delimit the scope and the action field of the employees, just like to define the operations and safety devices. In the intervention phase, demolition or construction, the main advantage is the clash detection between static systems and dynamic systems. 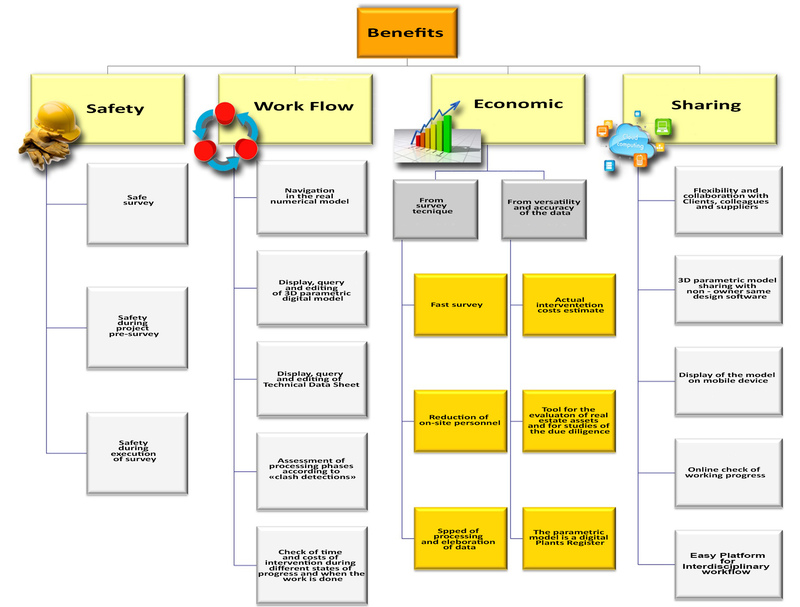 The control of safety during work, in which the model undergoes constant change , is coordinated by dedicated software that simulate the various stages of intervention, the clash detections , the avenues of work , equipment and personnel employed. The intelligent parametric 3D model is a basic tool for interdisciplinary workflow. The versatility in consultation with the Technical Data Sheet and the 3D model makes this technology added value in the field of surveys of industrial plants. From the real numerical model (pointclouds) to the online consultation entire parametric model, in which each element is distinct in size, materials and characteristics, information extraction is immediate and devoid of the use of dedicated software. The application of the 4th and 5th dimension, finally, facilitates the control of the operating phases, during the course of the work until completion, watching time, costs and logistics in real time. The pointclouds , navigable through solid pictures and three-dimensional space, represent both an instrument of control during the field survey , and a snapshot of the condition of things , a freeze-frame on the date of the survey , which is available at all times through a free viewer. Furthermore it’s possible to verify dimensions, view notes and descriptions derived in the pipeline. 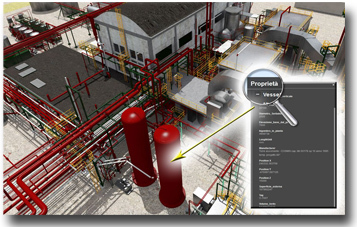 The intelligent parametric model provides the ideal graphical platform, navigable through different thin client (desktop PCs , tablets and smartphones ), for the control and verification of both structures (member , stair , ladder , grating , etc. . ) and the single items of the system ( pipes, valves , equipment) . The selection by type allows the viewing and reading the technical characteristics (dimensional and material ) of each individual element. The intelligent models allow accurate modeling of 4D construction charts, so that these let a preview of decommissioning projects, verifying time, cost and interference during the construction phase be possible. The 3D laser scanner survey, supplemented by reading material characteristics of the site , geometrical and mechanical properties of the components, flows into a single database , broken down by types of detected items. The consultation for the selection filter pre-set facilitates querying and data mining partial and total. In the simulation phase of decommissioning, it’s possible to check interference for static and dynamic objects (construction vehicles and workers). The ability to obtain accurate and detailed 3D models of plants results in two main benefits: benefits from the technique of construction and advantages of handling versatility and accuracy of the data. The model created is perfectly compatible with the most common CAD platforms. The 3D model of the plants collected is shared on the web, through the use of a cloud computing service. It is further possible view and query the 3D models, in their entirety or in individual partitions and check the technical characteristics of the individual elements that make up the system (Pipe and Equipment). 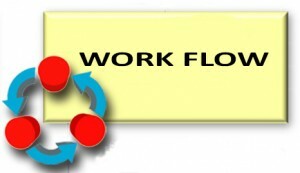 The online sharing enables the creation of a single coordinated model and offers the ideal platform for interdisciplinary workflows. The high resolution, completeness and accuracy of the 3D scan data support workflows normally not covered by traditional analytical methods. The investigations traditional point-to-point are generally characterized by the presence of gaps, especially when they are not documented variations between the conditions of the installation and the real situation in the drawing. In the documentation scanning, these gaps are filled with detailed photorealistic 3D images (picture sound) and stratified models of smart metering data, relative to the systems of piping, equipment, the insulation, the load-bearing structures, installations, structures in steel, electrical areas or other areas. 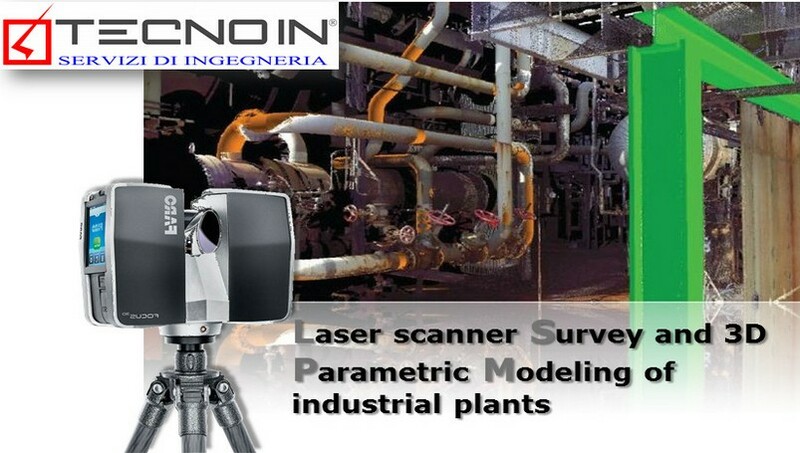 The as-built use of laser scanner technology therefore generate “point clouds” (pointcloud) very detailed imported into specific software, allowing three-dimensional modeling for different purpose, such as the configuration of industrial plants. 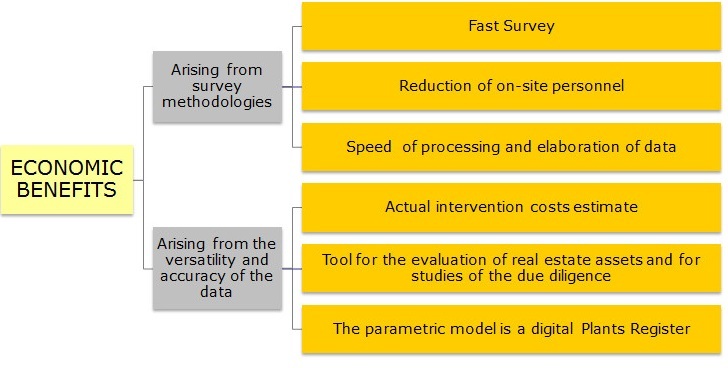 The three-dimensional parametric modeling is the result of a single integrated process, characterized by the combination of data extracted from the 3D laser scanner survey, by the acquisition of specific plant and the importance of the technical characteristics derived in the worksite. The intelligent parametric model provides the ideal graphical platform, that can be browsed through different thin client (desktop PCs, tablets and smartphones), for the control and verification of both structures (member, stair, ladder, grating, etc.) and single elements of the whole system (pipes, valves, equipment). The selection by type allows the viewing and reading of the technical characteristics (size and material) of each element. 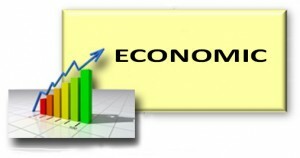 The database related to the three-dimensional parametric model is the Technical Data Sheet. The T.D.S. looks like an analytical scheme, easy to inquire, which quality and quantity of individual materials of the plants and structure are shown in. The use of filters applied to the database simplifies and facilitates consultation and ensuing extraction of partial and whole data relevant to structural parts and components of the system. The parametric model allows the export of three-dimensional wire frame fixed for the most common software for structural analysis and calculations. 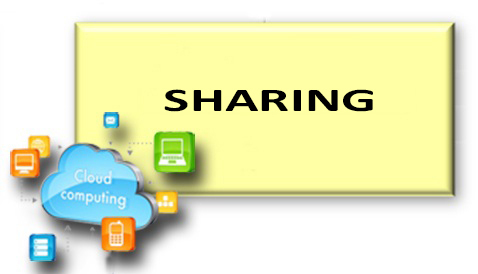 It is also shared on the web, through the use of a cloud computing service. 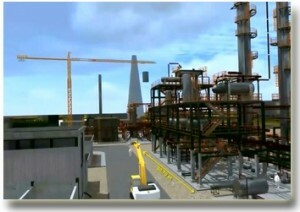 So it’s possible to view and interrogate 3D models, in their entirety or in individual partitions and check the technical characteristics of the single elements that shape the plant (Pipe and Equipment).The Information Technology, made possible by cloud computing services, provides the interchange and interoperability of the 3D model without the need for local installations. 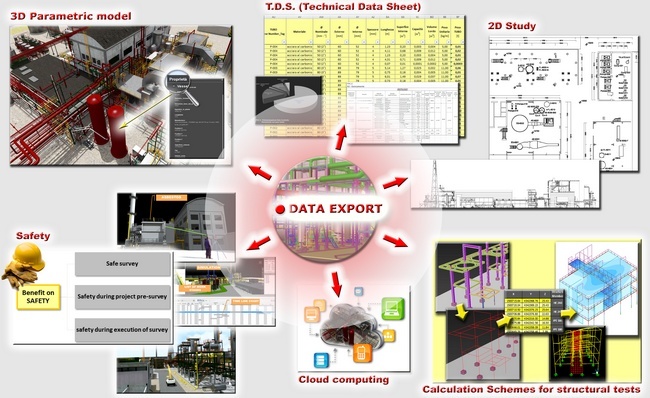 The “DATA-MINING” tecniques allow to provide the client a wide range of resources to settle all the requirements related to the design of the “decommissioning” process of the industrial plants. The intelligent parametric model provides the ideal graphical platform, that can be browsed through different thin client (desktop PCs, tablets and smartphones), for the control and verification of both structures (member, stair, ladder, grating, etc.) and single elements of the whole system (pipes, valves, equipment). The selection by type allows the viewing and reading of the technical characteristics (size and material) of each element. 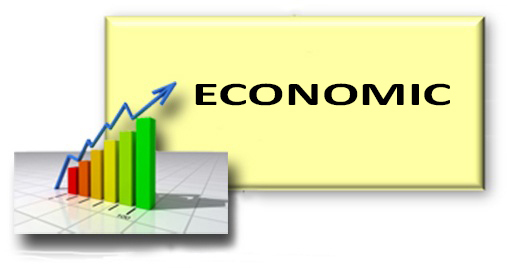 The database related to the three-dimensional parametric model is the Technical Data Sheet. The TDS looks like an analytical scheme, easy to inquire, which quality and quantity of individual materials of the plants and structure are shown in. 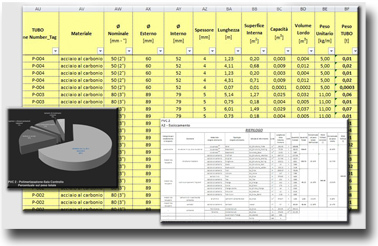 The use of filters applied to the database simplifies and facilitates consultation and ensuing extraction of partial and whole data relevant to structural parts and components of the system (piping and equipment). From the parametric digital model can be extracted two-dimensional orthographic views. The 3d model in fact, once created, allows the generation of infinite planes of section, to suit any design need. The parametric model allows the export of three-dimensional wire frame fixed for the most common software for structural analysis and calculations. Consultation of pointclouds allows the typological features of structural nodes. The pointclouds , navigable through solid pictures and three-dimensional space, represent both an instrument of control during the field survey , and a snapshot of the condition of things , a freeze-frame on the date of the survey , which is available at all times through a free viewer . Furthermore it’s possible to verify dimensions , view notes and descriptions derived in the pipeline. It is so possible Displaying, making query and editing the 3D model and parametric digital TDS on WEB freewere platforms. 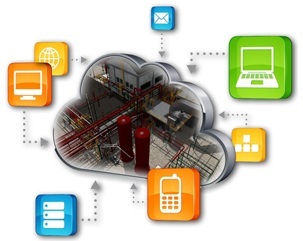 Through the “Clouds” it is easy manage data on mobile devices such as smartphones and tablets.